Can we throw our SLR cameras into the dustbin of history? That time might not be far off, because Sony's new IMX586 camera sensor packs a whopping 48MP into a smartphone - a world record! But Sony does some things differently than for example Nokia with the older 40MP sensor - will the new super sensor be worth it? Smartphone cameras and DSLR: is the competition over? The Sony IMX586 is designed to take smartphone cameras to a new level. The 1.2" sensor can capture 8,000 x 6,000 pixels, which is a full 48 megapixels in 4:3 format. There's never been so much in another smartphone. The first devices with the IMX586 are scheduled for release next year. The sensor costs 300 yen per piece, which is the equivalent of around $27. Interesting: Sony chooses very small pixels, but there are a lot of them. 0.8 μm, which is only half the size of pixels on many current 12MP sensors for smartphones. Normally, this should mean significantly more image noise. But Sony combines the sensor with Bayer color filters and allows each pixel to access data from four adjacent pixels to capture more information and minimize noise. But it's worth taking a look outside the box, as Nokia introduced smartphone cameras with 40MP years ago, the Nokia 808 PureView and Lumia 1020, which were twice the size of the IMX586's sensor and therefore had significantly larger pixels that could capture more light. The IMX586 is only slightly larger than the current Sony sensors for smartphones. 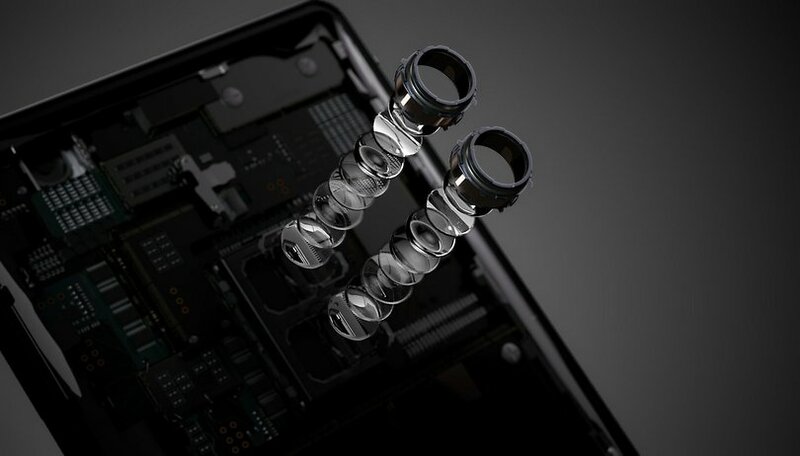 Whether the new sensor will already be installed in the Sony Xperia XZ3 expected at IFA remains to be seen and is rather unlikely. The IMX586 is not yet capable of super slow motion at 960 fps, and all the latest top smartphones brought this feature with them. Also the XZ3 will probably contain a dual camera, here Sony might rather rely on two similar sensors. But nothing is impossible. Are you looking forward to the new Sony sensor? Can a smartphone ever hope to compete with SLR cameras? A few years ago i would have thought the following: Tons of pixels > tons of noise. So better less pixels but of larger size. Now Google comes into the game and everything changes. So i definitely believe that Google is absolutely capable of using this 48mpx sensor with smaller pixels and letting it's software power do the trick. We'll be seeing some amazing HDR+ pictures with extreme detail and the ability to zoom in without having 3 sensors and bad optics. A good quality 8-10 mp sensor, will get you a good A3 (11x17) size photo. No one prints (smartphone) photos. The only benefit of adding a ton of pixels to a camera sensor, is for cropping & enlarging, without losing detail. When you stuff THAT many sensors, you also run into crosstalk, signal to noise ratio issues which can be taken care of partly in software, but then you run the risk of degrading the photo quality. Instead of stuffing more pixels, how about increasing the SIZE of each sensor and increasing the size of the glass on the front. Agree with the comment, but what this will do is provide a huge digital crop factor to compensate for lack of telephoto. DSLR image quality is much more dependent on glass than sensors - the same Canon shooting the same scene with a kit lens is night and day from an L series professional lens. Not even to mention autofocus, burst speeds or video quality. If you want to enlarge a picture to the size of poster or more the MP count is important for normal size picture is just a waste of storage space. Anything over 8MP is just to much for the average size picture even 8MP is overkill. A smart phone will never compete with a DSLR camera until they put the same size lens on it.